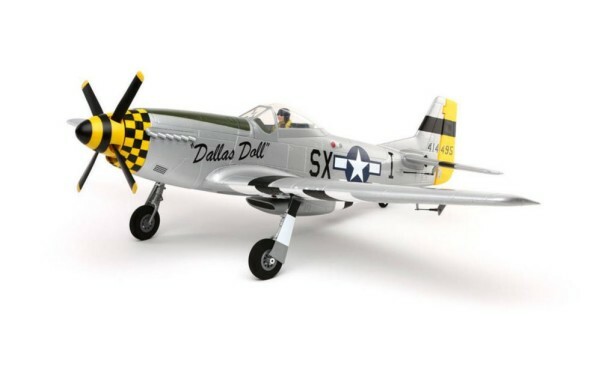 The new E-flite P-51D Mustang is an electric-powered model capable of bringing the ultimate warbird experience to the local park. Electric retracts and functional flaps are already installed. A exquisitely detailed airframe features an accurate scale outline. Spektrum AS3X technology (BNF Basic only) gives this ultimate warbird rock-solid handling in the air.